About us – Taylor Denture Clinic Ltd.
For more than 30 years, thousands of men and women have trusted us to deliver friendly, full-service denture care in Saskatchewan. It’s important to us that you feel comfortable with your smile. We offer personalized care to ensure you leave our clinic satisfied with the look, feel, fit, and function of your dentures. Denturist Brian Moynes is certified and experienced in the latest denture technologies, including implant-supported dentures. We work with your dentist and other oral health team members to get you the fit and functionality you’ve always wanted from your dentures. Having an on-site laboratory gives us the flexibility to expedite the denture-making process and complete control when it comes to adjusting the feel and fit of your dentures. When and where possible, we provide same-day reline and repair services for all our customers. We recommend contacting our office with repair enquiries to guarantee a same-day repair. Brian is a practising denturist with more than 30 years of experience. In addition to serving as Past Registrar for the Denturist Society of Saskatchewan, he has also provided mentorship and training to young denturists entering the field. Our facility is fully wheelchair accessible. We are also happy to provide recommendations for transportation upon booking your appointment. 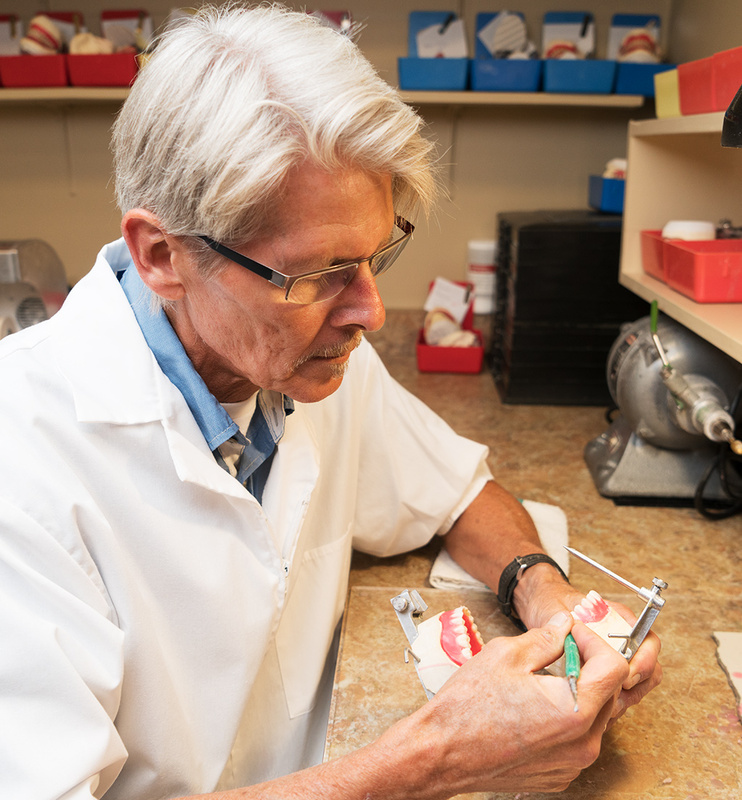 Denturists are independent, self-regulated professionals with specialized training in the applied and technical aspects of denture construction and upkeep. Your denturist collaborates with other members of your oral health team to give you your best smile. With a denturist you receive quality, consistent care from an expert with access to an on-site laboratory, cutting-edge technology, and the latest industry trends and developments. Born and raised in Eastend, Saskatchewan, denturist Brian Moynes was raised to work hard and help others. For over 30 years, he and wife Darcy have assisted countless patients reclaim their smiles with top-quality denture services and an impeccable quality of care. 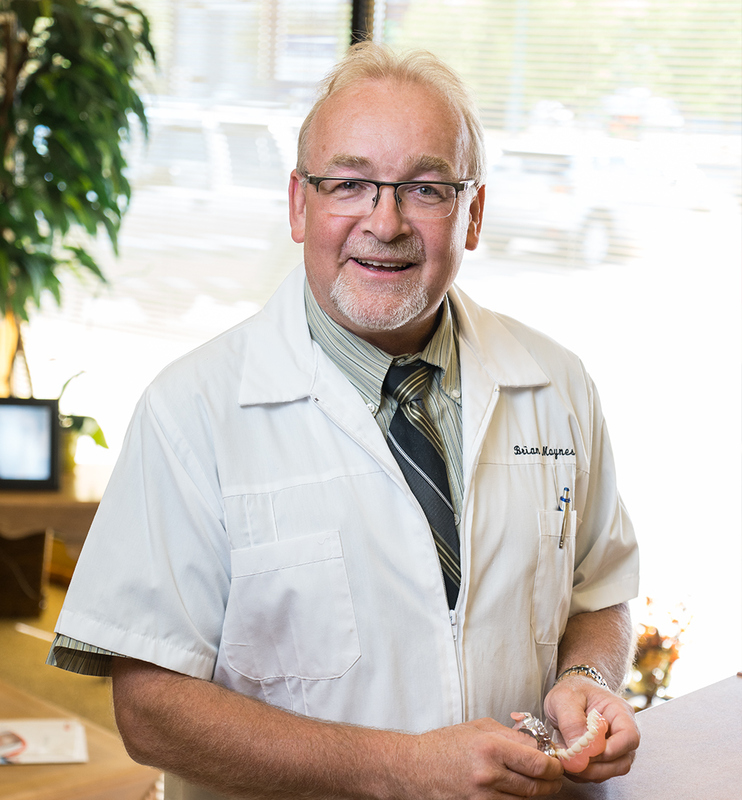 Darcy has been by Brian’s side since the pair started the Assiniboia Denture Clinic in 1987. 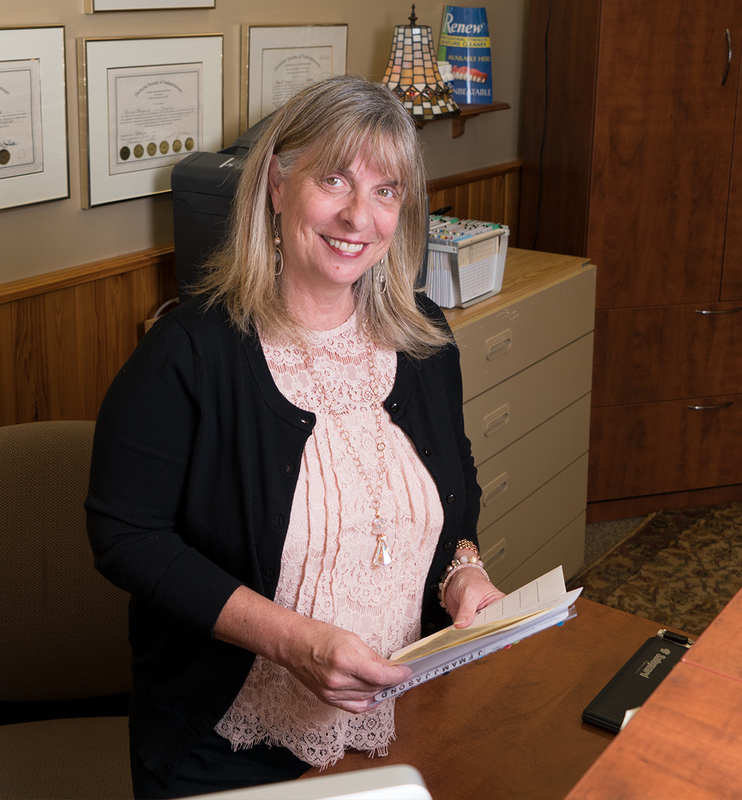 Known for her friendly personality, Darcy manages appointments, insurance claims, billing, shipping/receiving, and makes sure to greet each and every client on arrival. Don is a dental technician with more than 30 years of experience. A caring husband, proud father of two, and born-and-raised Saskatchewanian, Don has been helping Brian craft beautifully precise dentures at Taylor Denture Clinic since 2003.